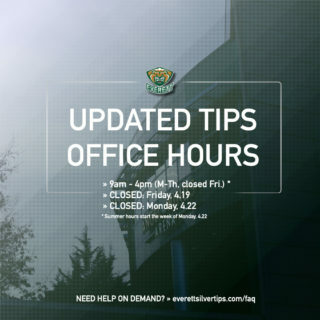 EVERETT, Wash. – The Everett Silvertips, proud member of the Western Hockey League, announce the return of Star Wars and Pucks & Purses Night on Sunday, January 22, 2017 at XFINITY Arena. 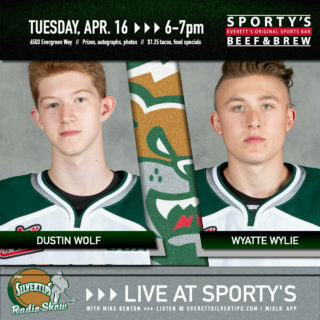 The Silvertips will be taking on the Spokane Chiefs, with a puck drop scheduled for 4:05 p.m. The Everett Silvertips are partnering with The Boys and Girls Club of Snohomish County to put on this year’s Star Wars Night. Fans are invited to come dressed as your favorite character, or come and meet movie figures stationed along XFINITY Arena’s main concourse. There will be Star Wars characters walking around the concourse area during the game, along with plenty of opportunities for photos and selfies with your favorite characters. 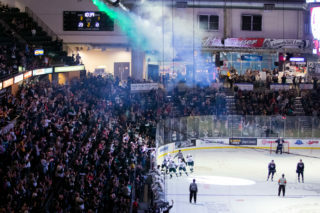 The Silvertips are offering an exclusive ticket offer for this night, which includes a ticket and a donation to The Boys and Girls Club of Snohomish County, starting as low as $15. 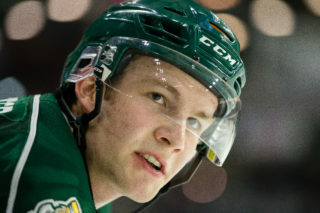 Go to everettsilvertips.com and order yours now. In addition, the Silvertips are simultaneously hosting the Pucks & Purses Night, supported by the Domestic Violence Services of Snohomish County, Sunday, Jan. 22, 2017. The Domestic Violence Services of Snohomish County are collecting new and gently used purses at the arena doors and at their concourse table during the game. The purses donated will be auctioned at DVS’ annual Purse Luncheon on June 8. Fans in attendance opting to donate a purse for a later date may deliver them to the guest services table, outside of section 115. Those will be collected and given to the Domestic Violence Services. Through a special ticket package offered exclusively to female fans in attendance, an exclusive “Chalk Talk” session with assistant coach Mitch Love, a photo on the ice, a locker room tour, a drink ticket, a game ticket to the January 22 game with VIP access to the Bud Light Lounge, and more are available for just $40. Season ticket holders are also able to participate in this event and purchase the package for just $30, excluding a ticket to the game. 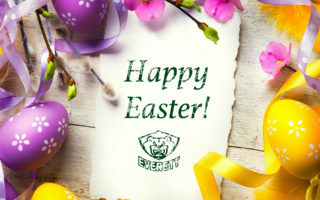 Limited spots are available and can be reserved online or by contacting Tia Dutton by calling (425) 609-2811 or by emailing tiad@everettsilvertips.com. The Tips Trapper Hat giveaway, courtesy of BECU, returns for the January 20, 2017 game against the Seattle Thunderbirds, with a puck drop of 7:35 pm at XFINITY Arena. The doors open at 6:35 pm, and hats available to the first 750 fans exclusively through the main doors of XFINITY Arena.